I'm not excited at for WWE Extreme Rules. There's a chance I could be in attendance since it's in my hometown of Baltimore, BUT the likelihood of this is getting smaller by the day. The only thing that has me considering finding a way to go is this main event that was just announced for the PPV on Monday Night RAW. 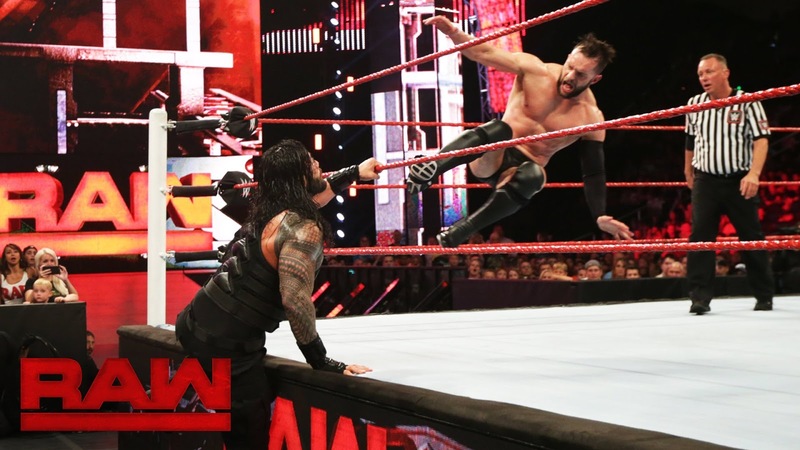 In what was a shocking, but somewhat necessary move, the WWE shifted focus from Braun vs Reigns (due to a Braun injury) to this newly found concern for a Universal Title shot. Forget the fact that both Seth and Finn asked for a shot the week prior and instead competed in a great TV match for a shot at the IC Title. Forget that. Conventional wisdom doesn't matter in the WWE really, it seems like the WWE had to regroup fast and they basically did the best they could. However, when you take a look at the competitors in this match, who deserves the victory? This is a tale of 5 different stars put into one mega main event, and their victories would mean many extremely different things. So who deserves to face Brock Lesnar at likely, wait for it, Great Balls Of Fire? Let's take a look. -The biggest shock in this match honestly needs to win it. This is my first choice for winning the match. Do I think he will win? Not necessarily, but going with what the WWE needs in a marquee match, just the concept of Samoa Joe vs Brock Lesnar is enough to put asses in seats as they say. However, this is WWE and his chance of realistically winning is about 20%. He will likely lose and go on to fight Seth Rollins at that PPV, which would be a bit unnecessary and drags the feud on a bit too long, but once again this is WWE. If I had to choose however, I'd pick Samoa Joe as the guy I want to win most. -Honestly, this is a really top pick to win. Granted, I'm not really expecting him to win this honestly for one reason: Bray Wyatt. The worst part of this entire match is that the winner is more than likely going to be Roman Reigns to set up the Brock vs Reigns rematch that we don't want. However, it's assumed that the winner of this match will go onto Great Balls of Fire to fight Brock, so it's very possible Finn gets a huge surprise win to fill in for Braun Strowman, who will be gone for about 6 months. Brock Lesnar vs Finn Balor is a huge matchup and Balor never lost the Universal Title, so he already has a claim to the rematch. 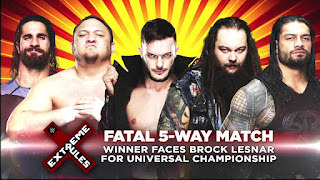 If WWE wants to give the fans what they were asking for the night after Mania (since the fans were asking for Balor), then this is the route to go. Whether WWE pulls the trigger is really hard to tell. 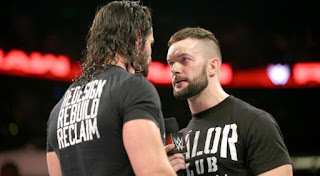 -I honestly think the best overall performer on RAW is Seth and the truth of the matter is, there's no denying that he could pull off a big time matchup with Brock at a B show. 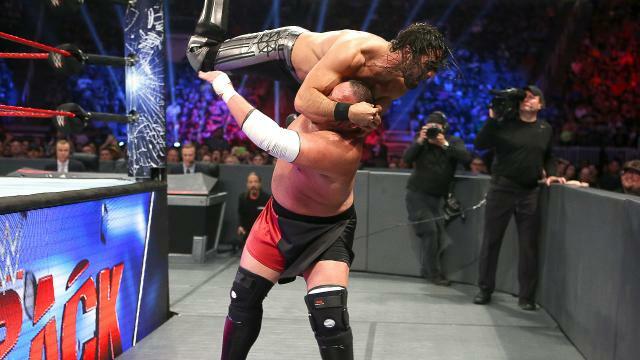 However, here is the issue: Seth has had a triple threat and a one on one match already with Brock. I think he has about a 25% chance of winning this match (not going to go Scott Steiner with the math here), but when you look at the fact that Brock will likely be coming back as a monster face (probably), I think Seth being fed to Brock in a losing effort is not a good look for him. Plus, Samoa Joe vs Seth Rollins will likely continue after Extreme Rules. So, I don't see Seth winning, but another Brock vs Seth match could be fun. -So..... let me just say this. No. Not a chance. I don't want Reigns to win at all. He doesn't need to win. He doesn't need another match with Brock nor does he need a title run. It's just NOT WORKING. However, this is WWE, so if the plan is to build to two huge matches and a feud for Brock in the summer, I expect them to make Reigns win, and have the title match end in something controversial at Great Balls Of Fire, leading to a huge rematch at SummerSlam with a No DQ stipulation. Unfortunately, since WWE is pretty stupid about booking Reigns the right way, I fully see Reigns winning this match, likely with a pin over Bray Wyatt if this does go how I expect it. -The sleeper pick. 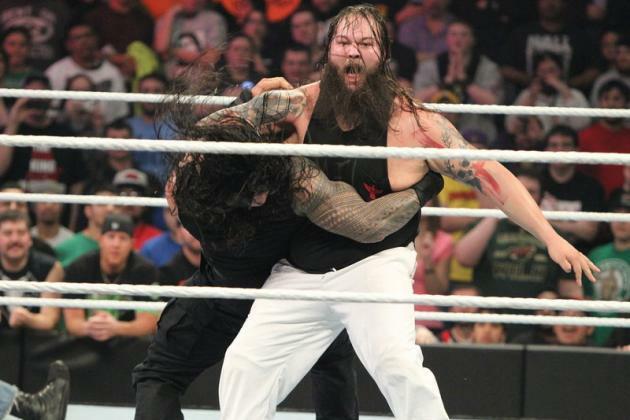 Notice how Bray is riding a wave of momentum? Honestly, I think they will halt his one on one feud with Finn, if he is able to win this match and finally give us that Bray vs Brock match. However, that match just doesn't feel like it's necessary now. Bray has really a win over Orton in House of Horrors and he's been standing tall on RAW recently, but I just can't see him in the long run staying as a huge contender to the top title, even when it's regularly defended again. Bray could win the match, but Brock vs Bray is just not a match that really jumps out at me now after their momentum both went down. I don't see Bray winning, but all signs would point to him walking away with the victory if the WWE push system stays consistent. So who wins? Logic would say Balor or even Joe, but WWE logic says Bray or Reigns (the two options I don't want to see). I'd love to see Balor vs Brock or Joe vs Brock, but something tells me WWE nor Brock sees the money in those matches, so we will likely see Roman Reigns win.... AGAIN. Unfortunately. Guess we'll see on June 4th.